On Wednesday, Nov 16th, I attend an event hosted by Bunker Labs, the national nonprofit empowering veteran entrepreneurs, is celebrating its first year in Philly with a celebration of veteran entrepreneurship. 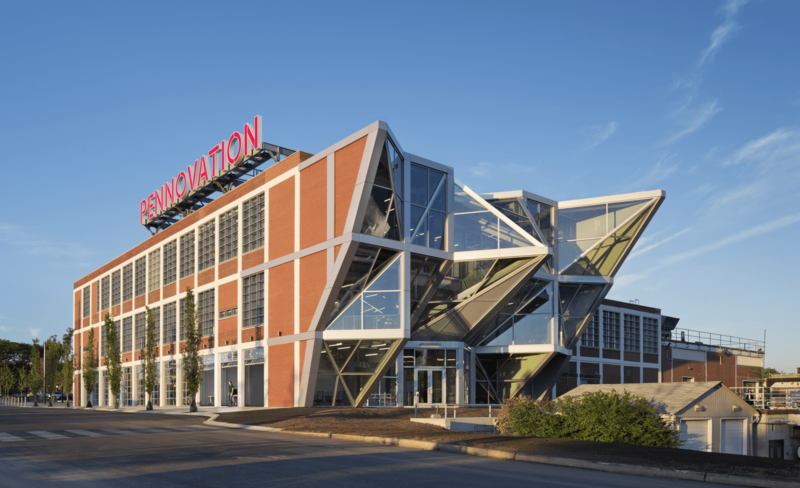 The Muster PHL: Big Ideas for America event was held at the at the newly-inaugurated Pennovation Center, Upenn’s co-working space with some incredible projects going on, many of which use our technology. The Muster nabbed sponsorship from JPMorgan Chase, among several other large companies, including Comcast. In attendance were a host of entrepreneurs, authors and speakers for a full day of panels and fireside chats. I was there on behalf of BizSpark, Microsoft’s software grant for startups, and I also had an opportunity to sit in on one of their meetings with a VC and startups a few months ago at a premier co-working space run by Navy veteran, Benjamin’s Desk, and make them aware of Microsoft’s offerings. 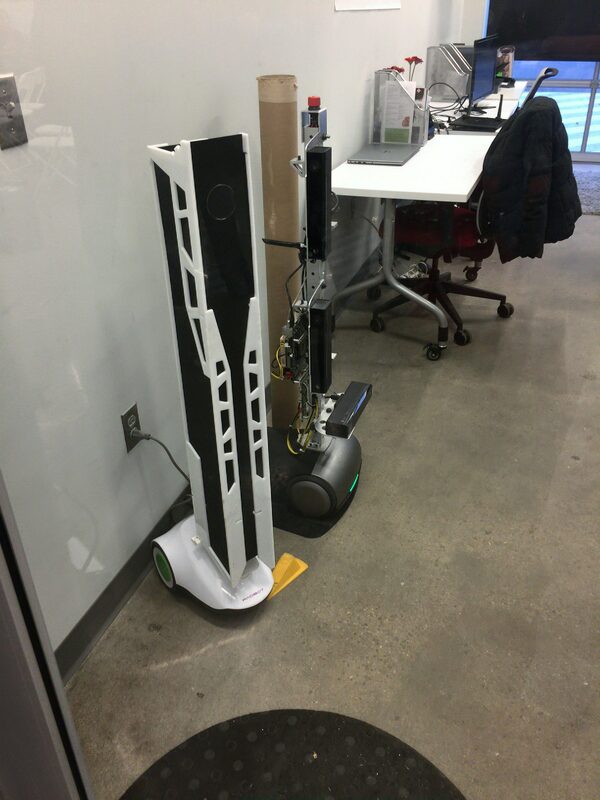 One project that stood out was the Cosy robot, which enables robots to navigate retail store floors, managing inventory, ensuring planogram and promotional compliance. COSY will also map stores including layout and architecture. It uses three (3) Kinect 2s to wander throughout department stores, and blew my mind. My family consists of many veterans, including my grandfathers, father, and my brother, so it means a lot to be able to get involved with Microsoft and our veteran affairs. 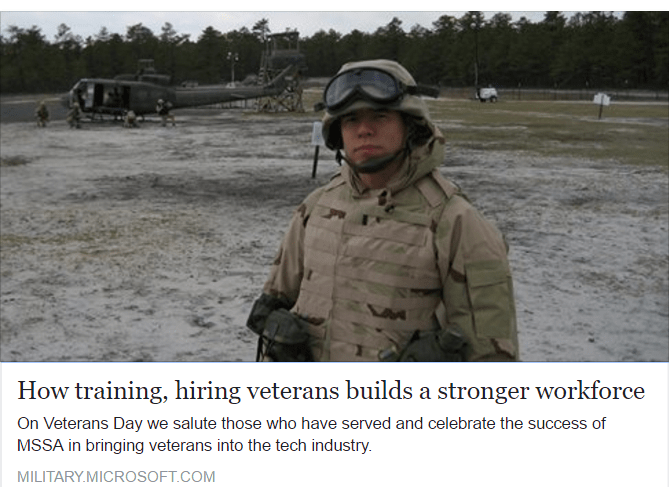 This blog post explains Microsoft’s recent program to land jobs with veterans, and I’ve been working with one of them over the last several months, Andrew DeBerry, and he produces outstanding results. “That’s why we started Microsoft Software & Systems Academy (MSSA), which prepares service members for new achievements as they transition to civilian life — and meaningful careers in the tech industry. Three years ago we launched MSSA with one cohort at Joint Base Lewis-McChord. We’ve gained momentum and are projecting to expand to serve nine regions and 14 bases in the coming years. Our three newest locations, at Fort Benning, Georgia; Fort Campbell, Kentucky; and Fort Bragg, North Carolina, welcomed their first cohorts last month.